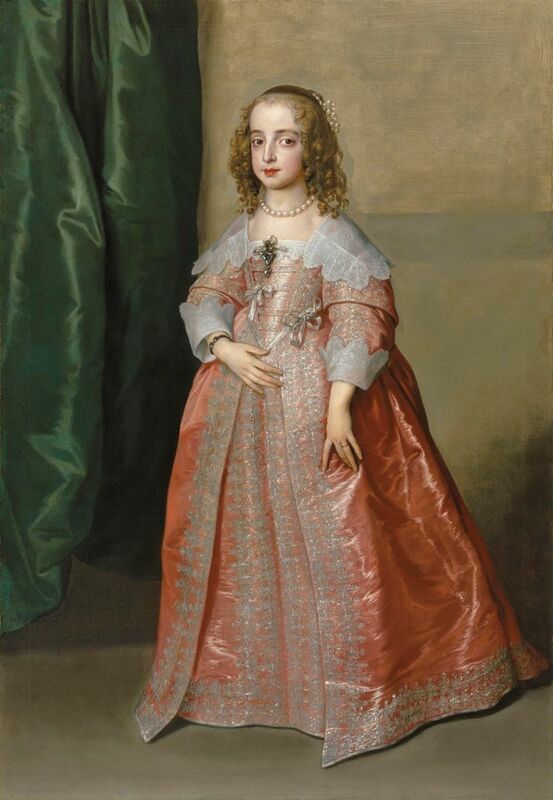 Van Dycks are like buses—you wait years for a full-length portrait of Princess Mary, then two come along at once. 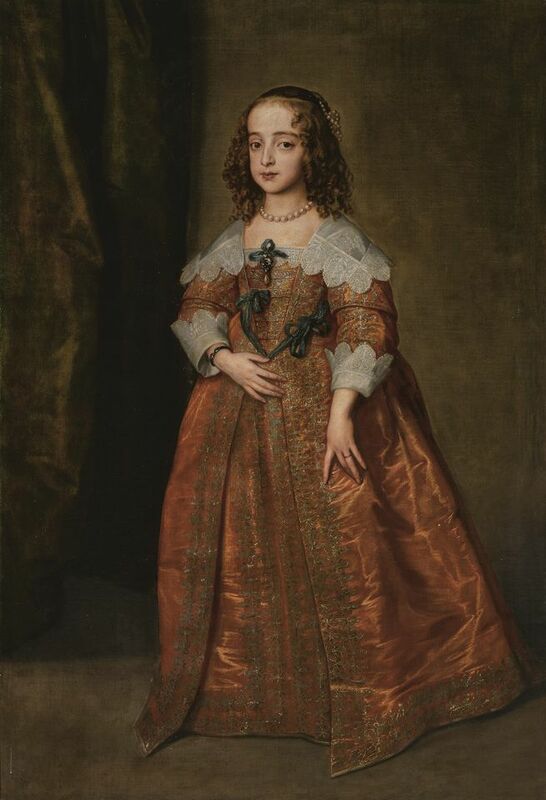 This must have gone through the minds of Sotheby’s specialists when, shortly after it revealed its 1641 painting of Charles I’s daughter by Anthony Van Dyck and his studio, Christie’s announced it had an autograph version of the same work from the same year for the December season of sales in London. While Sotheby’s noted that parts of its painting (Mary’s head and hands) are by Van Dyck, its work was estimated between £600,000 and £800,000 to reflect the studio participation and sold on 5 December for £650,000 (£790,000 with fees). Full authorship enabled Christie’s to estimate its version between £5m and £8m and it sold on one bid for £5m (£5.9m with fees) last night, 6 December. The work had been bought in 1989 for £880,000. Otherwise, and despite Christie’s posting a higher total, the evening sales belonged to Sotheby’s. With a fresher and better-estimated range of works, their 5 December auction made a within-estimate total £25.4m (£30.2m with fees, est £20.9m-£29.5m), ahead of last year’s equivalent total of £25m with fees. 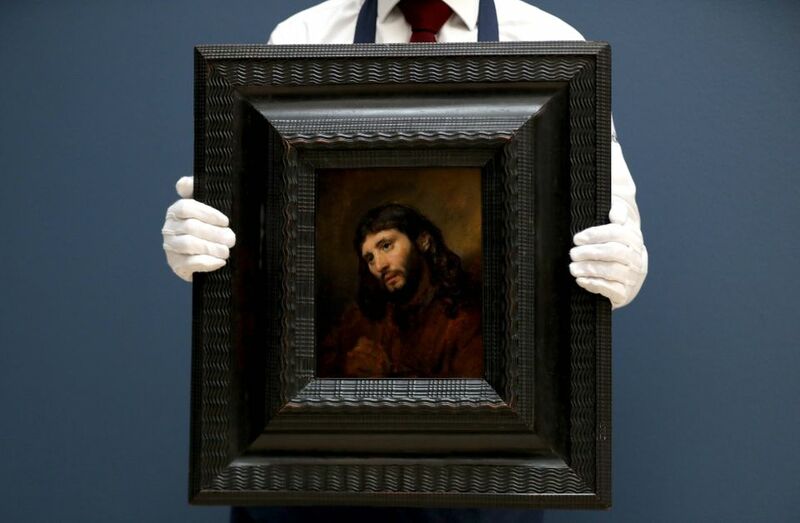 Top lot was, as expected, Rembrandt’s bijoux Study of the head and clasped hands of a young man as Christ in prayer (around 1655), which came complete with two fingerprints, believed to be the artist’s, on its original layer of paint. Bidding started around the £5m mark until, unusually, a jump bid from its third-party guarantor came over the phone for £8m. A subsequent bid from an agent in the room took the work’s hammer price to £8.2m (£9.5m with fees). Other highlights included the sale’s opening lot, Ambrosius Benson’s contemplative Mary Magdalene Reading (around 1532), which sold for £600,000 (£730,000 with fees, est £200,000-£300,000), encapsulating a current taste for Dutch and Flemish art as well as for intimate portraiture. Such momentum could not last through the 42 works offered and the last two lots of the evening by British artists—The Lane Side (1835), recently attributed to Samuel Palmer (est £300,000-£500,000) and David Wilkie’s rather twee Domestic Life (1836, est £80,000-£120,000)—failed to find buyers. The auction house yet boasted 86% of works sold. Sotheby’s specialists reported considerable UK bidding, as well as more interest from Russia (including on the Benson), although Chinese interest was less pronounced, they said, despite touring the works in Asia in October. The auction house also noted more participation from women on the night, among both buyers and agents, in a category traditionally dominated by men. Christie’s total for its 6 December evening sale last night was £38.4m (£42.2m with fees), comfortably ahead of last year’s £21.7m (with fees), but bolstered by £18m (£21.4m with fees) from a group of works owned by the businessman Eric Albada Jelgersma, who died this year. The Albada total—while solid for the first part of a single-owner sale of mostly Dutch and Flemish paintings—came in well below expectations of £23.2m to £35.3m. Some of the estimates were punchy, but despite 14 of the 39 lots going unsold, Christie’s specialists pointed to the strong performance of its top lots. Indeed, a pair of fine Frans Hals portraits of anonymous sitters, believed to mark their marriage, went for an artist record—albeit for two works—of £8.7m (£10m with fees, est £8m-£12m). This was the only work of the sale to have a third-party guarantee. 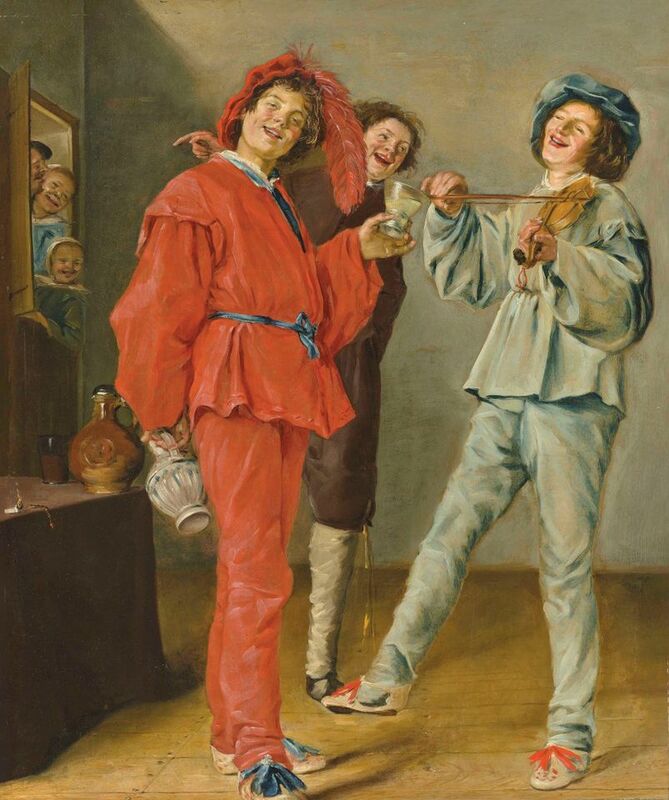 Another highlight (and record) was the delightful Merry Company (around 1629) by Judith Leyster, which sold for £1.5m (£1.8m with fees, est £1.5m-£2.5m). Leyster was celebrated in her time as a ‘master painter’ until marriage and motherhood meant an end to her painting. Many of the Albada works had been on the market within the past 15 years, a short time in the Old Masters world. “Ultimately these were pretty well-known pictures making a comeback,” says Henry Wyndham, the co-founder of the London-based art advisers Clore Wyndham. The mixed-owner portion of Christie’s sale made a within-estimate total of £17.5m (£20.9m with fees), though it also had a low sell-through rate, at 67%. The top lot was Pieter Brueghel the Younger’s trademark (and probably early) version of The Netherlandish Proverbs, which sold at the high end of its pre-sale estimate for £5.4m (£6.3m with fees). This came from the predominantly 20th-century collection of Herbert and Adele Klapper and had attracted attention from post war art buyers, according to Christie’s. Other highlights included the penultimate lot of the night, a portrait of the attractive Lady Selina Meade (1797-1872), by Thomas Lawrence (1769-1830) which sold for a record £1.9m (£2.3m with fees, est £800,000-£1.2m). The work had stayed in Meade’s family since it was painted.